I admit I don't know an awful lot about it but I am aware that the government want to cull badgers because they believe the little fella's are passing TB onto cattle. 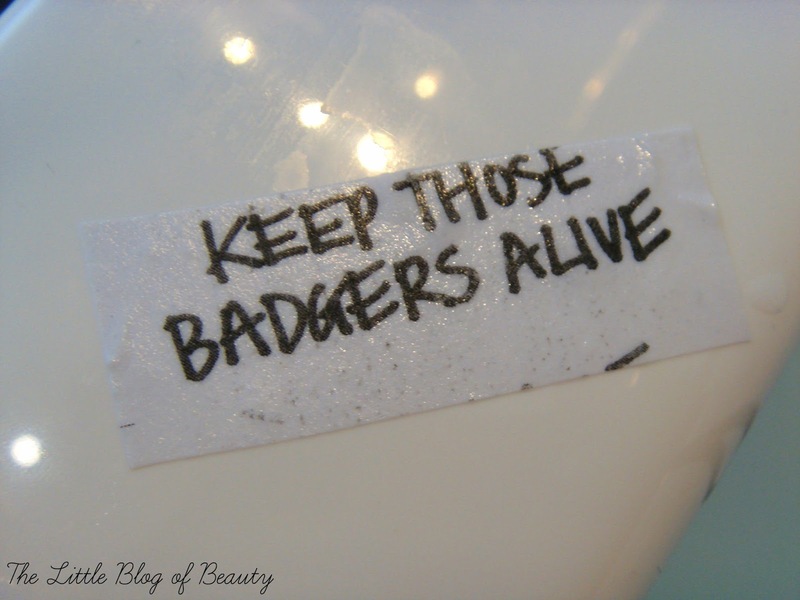 Obviously a lot of people are against killing the badgers and Lush are doing their bit by selling the May Day bath bomb throughout May. 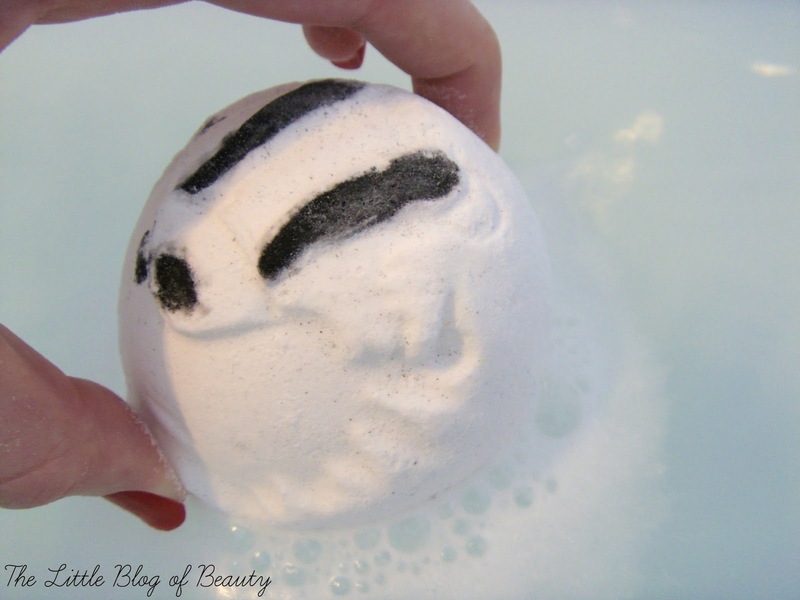 All proceeds from the sales of this bath bomb (minus VAT) will go towards anti badger cull projects in the UK. Just look at this little fella, isn't he cute! I meant to try and get a picture of all of them together sat in the bucket in store but I completely forgot as I was too busy chatting to the guy on the till about them. This little cutie contains antiseptic and uplifting Rosewood oil, cleansing and brightening Fennel oil and uplifting and cleansing Bergamot oil. Apparently different people can smell different things in this one (I think the guy on the till said he could smell an aniseed type smell) but to me it has a citrus kind of sherbet smell (probably because it also contains Citric acid). 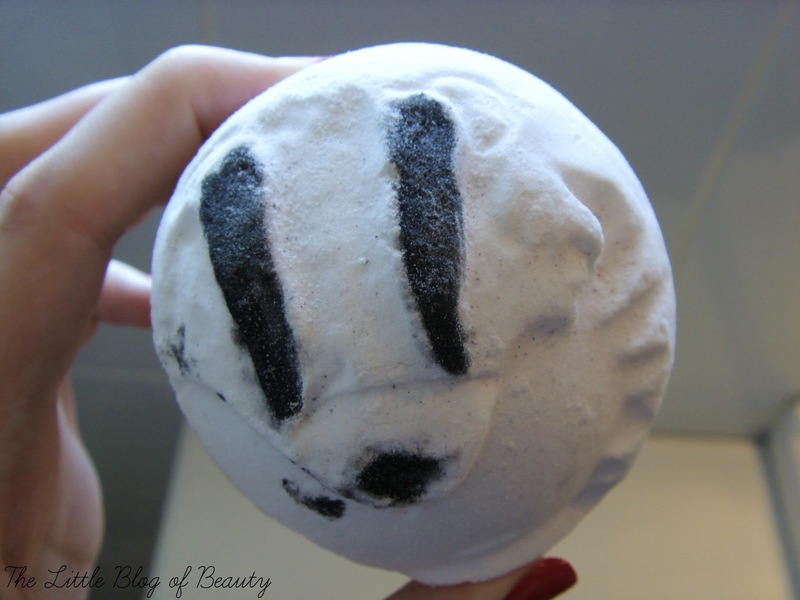 If you're unfamiliar with bath bombs all you do is drop this in your bath and it powers its way round fizzing away until it's completely dissolved. As this one is white it doesn't really change the colour of the water at all although there is a brief black flash as the eyes and nose dissolve (that sounds a bit grim doesn't it!). Once dissolved there's only a very slight scent that comes from the water, it's not one that fills your whole bathroom with scent. Although this is not particularly impressive in terms of bath colour or scent the best part was how amazing my skin felt afterwards. I'm currently suffering with excessively dry flaky skin on my back that in patches is turning to eczema , but when I got out of the bath even my back felt soft, smooth and moisturised. As a final little touch when the bomb has dissolved completely a little message appears in your bath. The May Day bath bomb is £2.95 and is available online and in store, but be quick as it's only available during May. Will you be grabbing a bath badger? I will be buying one of these! It's such a shame that they are only being sold throughout May, I think the cause deserves recognition all year around. Awh he's adorable! 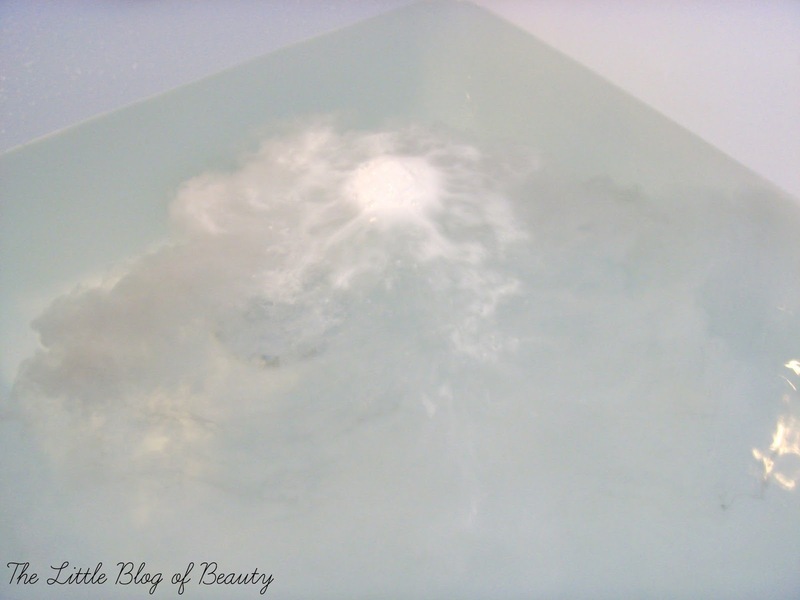 I love Lush bath bombs, this one sounds lovely with all those great ingredients! Grr, I popped into lush just on saturday and even though I saw yhese I didnt pick one up as it didnt look too exciting (I'm someone who tends to go for the most weird or colourful usually) wish I'd got one now though as it seems like a great cause and I have ecsma too!